There is certainly no shortage of books in this genre- Counter Hack, Hack Attacks Revealed and the best-selling Hacking Exposed (and all of its spin-offs) have covered this information in grueling detail. 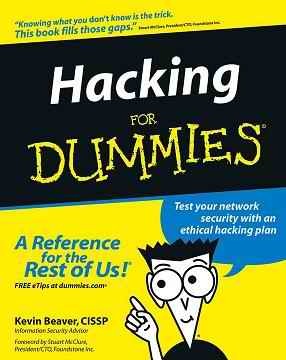 What sets this book apart is that it does not assume you are already a CISSP or network security guru. Being a "For Dummies" book means that it is written from the assumption that you don't know anything and the information is written in plain English and in terms that even a child could often understand.